Thank you RITZ Crackers for sponsoring this post. Be sure to grab RITZ Crackers from a Target near you today, for all your spring entertaining needs! 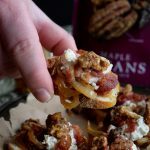 Welcome Spring with these delectable bites! 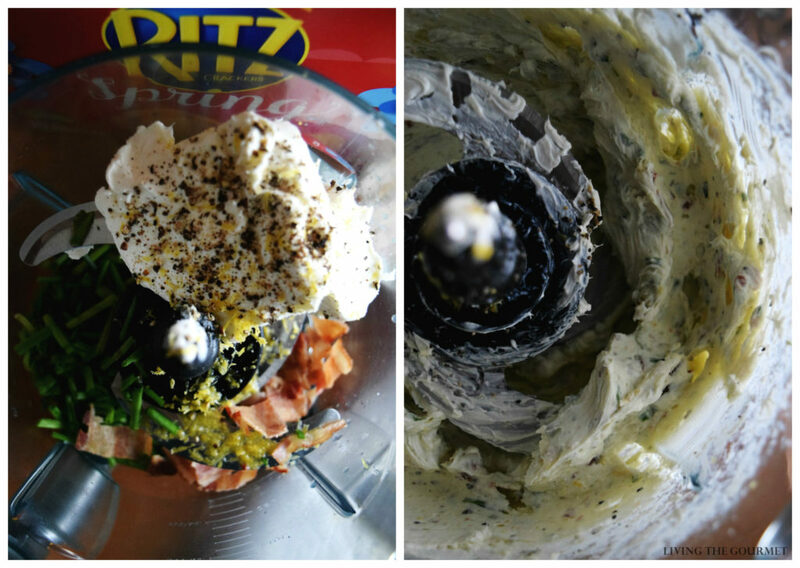 Cream cheese is whipped with a burst of fresh lemon, garden chives and bits of bacon. 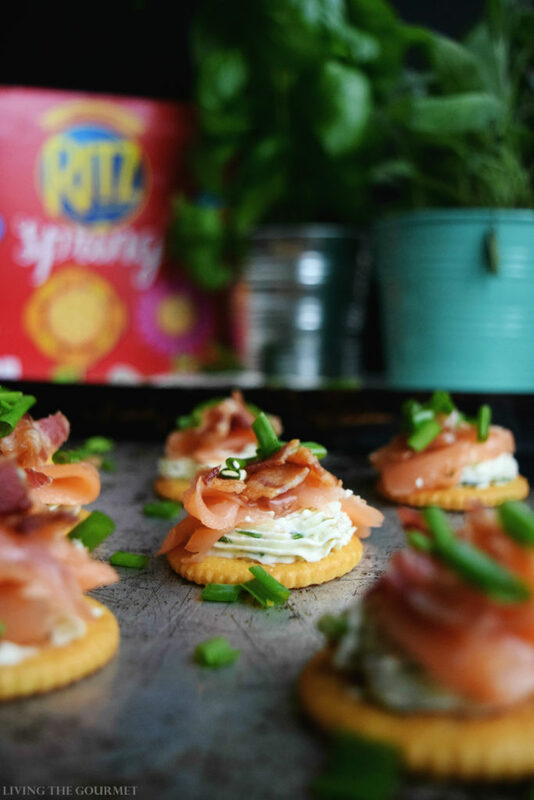 Piped over RITZ Crackers and topped with smoked salmon these toppers are sure to wow the crowd! While I am well aware that Oscar Wilde was of the opinion that “Quotation is a serviceable substitute for wit,” humor me in so far as that “The change from storm and winter to serene and mild weather, from dark and sluggish hours to bright and elastic ones, is a memorable crisis which all things proclaim. It is seemingly instantaneous at last,” as Thoreau so eloquently described the onset of spring. The start of spring is…already well committed to the verse of those far more eloquent than I. Put simply, whatever spell is cast over the earth that causes the sun to hang longer in the sky, and to bring forth life from the still and silent grey of winter, also lures us humans from the shelter of our living rooms and out into the ‘wilderness’ that lies beyond the ‘mighty frontier’ of our decks. Like many, one of my first rituals each year is to add my own bit of ‘life’ to the earth’s regeneration with the planting of an herb garden. This early in the season, the garden is still in its ‘indoor’ phase, and will be transplanted to the earth in the coming weeks. 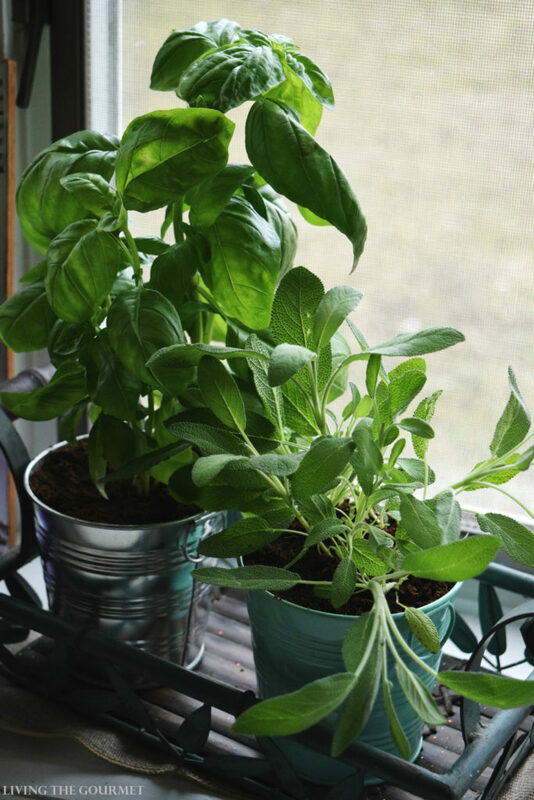 Anyone who follows Living the Gourmet is already well acquainted with my fondness for ‘garden fresh’ ingredients, chief among them being basil, oregano, parsley, and chives. 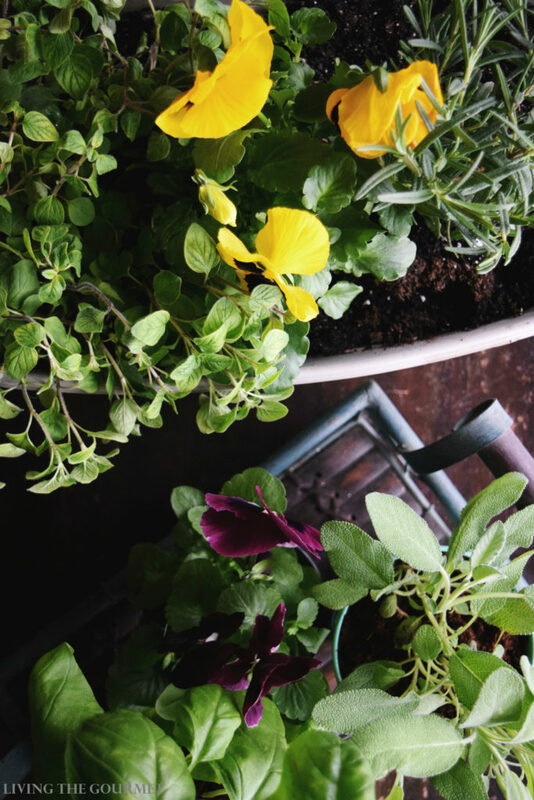 I was able to start my garden early this year thanks to Target, where I found seeds, plant starters and even little tin buckets to adorn my windowsill. So far, everything has come together lovely. 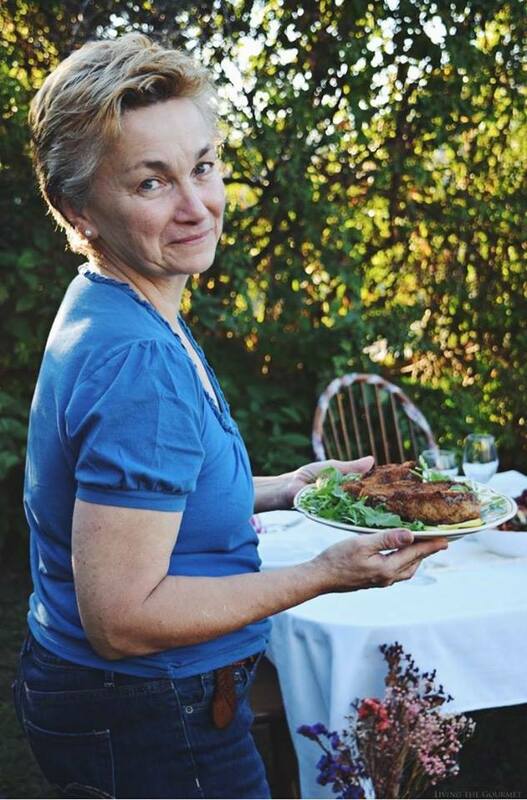 This fondness for fresh ingredients plays directly into another of my seasonal rituals, my absolute favorite part of the season – the first few outdoors gatherings. The combination of crisp air, sunlight freed from the grasp of winter, and fresh ingredients, is simply impossible to surpass. For example, think Caprese Ladybugs using RITZ Crackers, prepared with fresh cherry tomatoes, fresh basil, green onions, and bocconcini cheese, topped with black sesame seeds and olives. It was with all of that in mind that I decided to invite a few friends over for one such early spring get together. It would be a relaxed affair featuring light appetizers served out on the deck. After a quick stop at Target for the RITZ Crackers and cream cheese I would need for today’s recipe, it was time to begin. To start things off, we begin by crisping about six slices of bacon, which we chop finely. After that’s done, we combine about half of the bacon with cream cheese, chives, lemon juice, lemon zest, freshly ground black pepper, and milk in a food processor – and process. 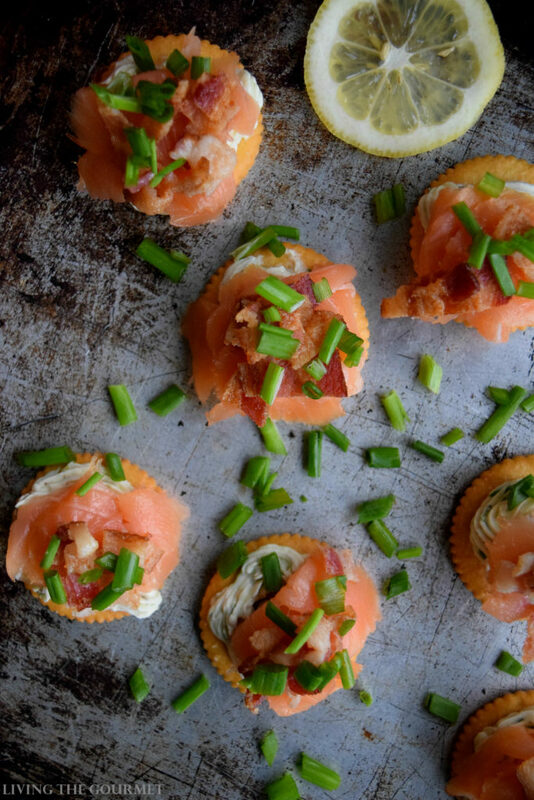 Using a piping bag, we prep the cream cheese mixture onto the Ritz Crackers as shown below, and then top with lox, followed by some bits of bacon, and then the fresh chives, and you’re done. 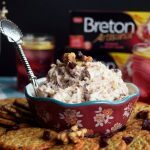 In a food processor combine the cream cheese, half of the chopped bacon, ¼ cup of the chopped chives, the lemon juice, lemon zest, fresh ground black pepper and the tablespoon of milk. Process until all of the ingredients are incorporated and the mixture is slightly smooth. 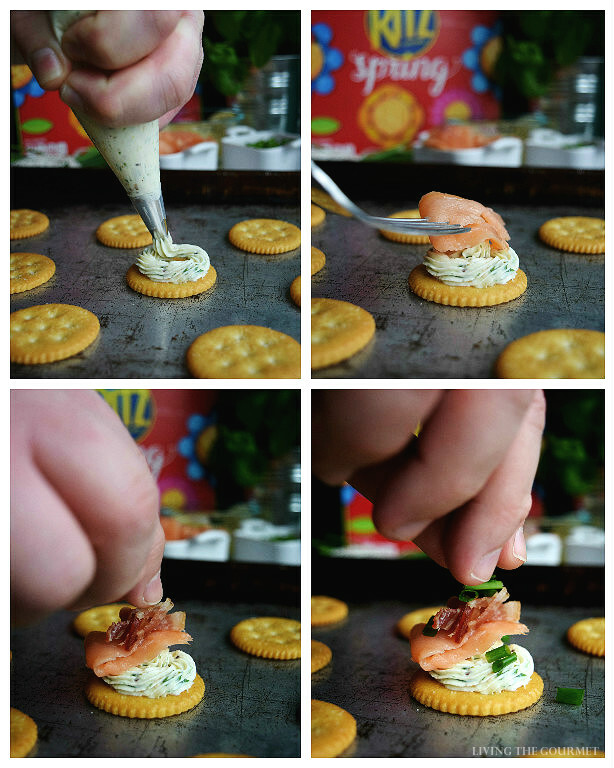 Using a piping bag squeeze the spread onto a RITZ Cracker and top with the lox followed by the crumbled bacon and finally topped with the fresh chives. The end result is a super simple, delicious appetizer platter perfect for those early spring get-togethers. 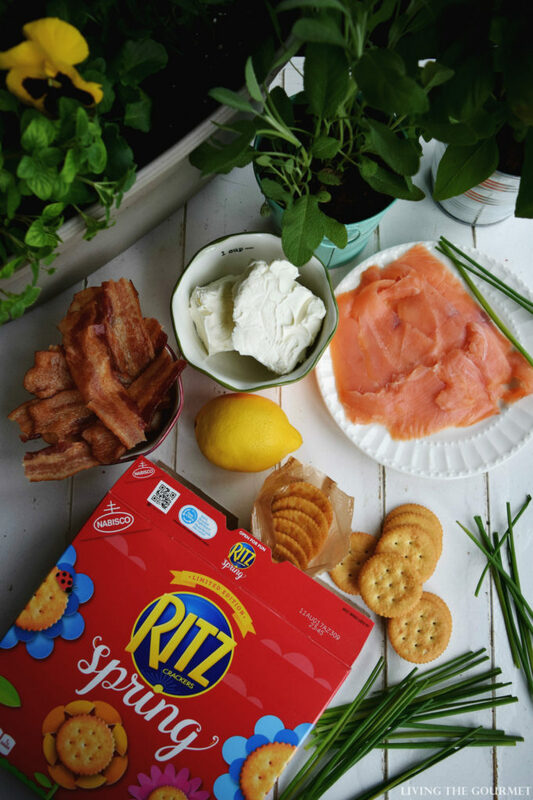 If you’re interested in more recipes using RITZ, follow this link. 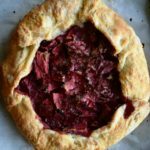 What are some of your favorite spring recipes? We would love to hear from you. DELICIOUS DELICIOUS ! 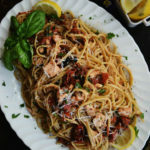 I just love Salmon, can't wait to try it out at-least once. Thanks for sharing this recipe. These photos are amazing! And I love all of these flavors! What fun little bites of deliciousness! What a gorgeous way to dress up a Ritz cracker! These look so delicious! Such a great appetizer idea for spring and summer entertaining! What delicious little bite size treats! 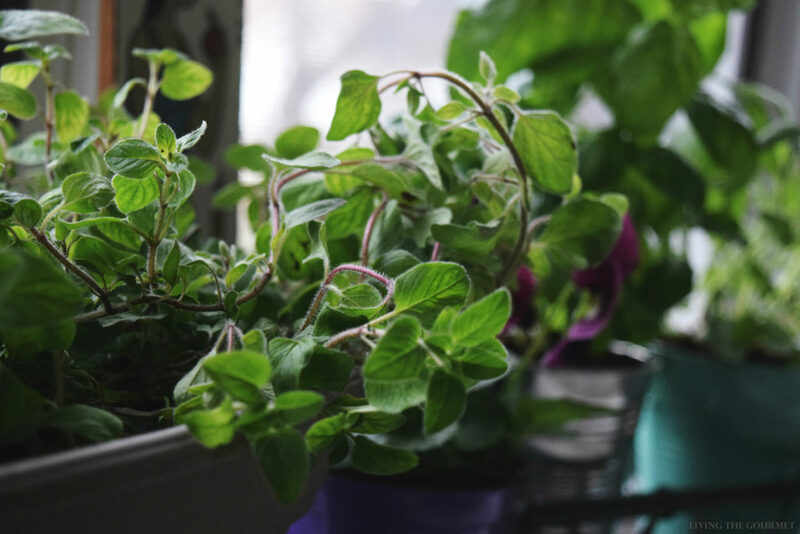 Loving your herbs too. These look so tasty! They would make the perfect summer party appetizer. 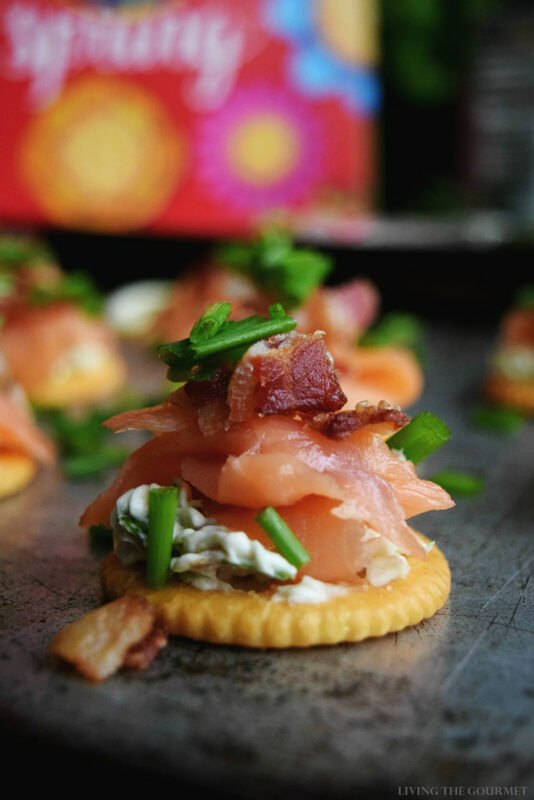 I love smoked salmon on anything and add a ritz into the mix......woohoo, I am soooo there! That's great that you can grow things, I alas can not, so I live vicariously through my relatives. Oh wow.. I love these.. 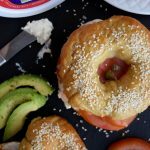 I make something similar with cream cheese and salmon on wheat toast. A great twist from the usual sandwiches. Love the Ritz idea. Must try next time. So scrumptious and delicious! And I love your window garden. I love this. It's by far the best fish I've ever had. The recipe doesn't say but remember to rinse the meat after marinating it, before grilling. I love it.